Cell Phone Ruining Your Relationships? “Your cell phone is ruining our relationship!” Do you know how often I’ve heard a spouse say this during a Couple’s Session? Technology affects our relationships. There’s no question. Picture it! You’re sitting with your husband or boyfriend at dinner in a fancy restaurant and his cellphone is sitting on the table next to him. It keeps dinging with emails, texts, status updates. And every time he hears the ding he takes his eyes off of you, breaking your intimate connection, to peak at the phone on the table. How does it feel when you are in the middle of a conversation with someone and they answer a text, email, or phone call? Do you feel ignored? Do you feel less than important? Does it actually hurt? All of our devices are creating what Brigham Young University coined Technoference in a recent study. They defined this as the interference of technology in couple relationships with implications for personal and relational well-being due to everyday intrusions and interruptions from technology devices. University researchers were able to prove that a person’s engagement with technology can actually make their partner depressed. When your partner attends to a phone instead of to you, it feels like rejection—it hurts. Feeling ignored when your partner is on their phone can feel as bad as being shunned. You experience these moments as rejections which your brain treats just like physical pain. Even mini-rejections can cause a change in mood or a spike in depression. When you take time away from an emotionally intimate moment to attend to your cell phone you are saying that in this moment your phone is more important than your spouse. Imagine spending an evening on the couch with your wife. You’re watching a movie in the dark, snuggling, talking, connecting. And every few minutes her cell phone lights up with social media updates. Or maybe it’s his work sending group texts about tomorrow’s big sales meeting. Every time that light comes on that cell phone is hurting your relationship. It’s cutting away pieces of your connection with your partner and your emotional intimacy. How often, on average, do you think you look at your tech devices in a day? How often do you pick up your cell phone during a meeting, during lunch, during a conversation with another person? How often are you looking at your cell phone when you could be looking in someone’s eyes? 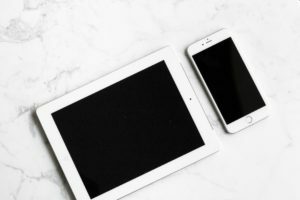 There are so many instances in relationships where connection is lost, or never even initiated, due to the increase in technology in our lives. We have cell phones, tablets, iPads, laptops, PS3’s. You can’t get away from it. How do you prevent cell phones from ruining your relationships? By creating connections!!! How do you connect with the people around you? Vulnerability: Find ways to tell them you miss them when they spend time on their phone. These are the cutest cards and they gently open a pathway to a conversation. Make every moment together count. Be fully present. Eye contact during conversations is key. Create conversations with interesting topics you are both interested in. Avoid trigger topics. Struggling to find a topic, consider this book for inspiration. Make and eat meals together. Team work brings you together and fosters that connection. Create a slow weekend morning routine. Stay in bed for a while talking, read a book together. I love this book for creating deeper connections. You don’t need less tech, you just need to add more life. Want to take it a step farther? Of course you do! Digital Detox Day’s are becoming more popular. 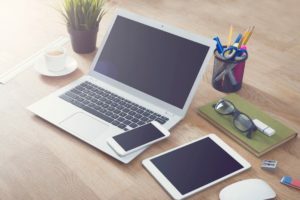 A digital detox is a period of time during which a person refrains from using electronic devices such as smartphones or computers. It is often regarded as an opportunity to reduce stress or focus on social interaction in the physical world. And guess what? There’s an app for that. No seriously, check this out. How can you create a digital detox in your life? Phones go face down on the table and the first person to reach for the phone pays for the meal or the dessert. At dinner at home during a family meal, the phone stay in the living room while you eat at the table. During an evening out with friends, the phone stays in your pocket on in your bag on vibrate. Consider assigning ring tones to the most important person in your life so you know to answer that ring. Go one whole day without looking at your phone or using social media and build up to an entire weekend. Make a commitment to doing something at least once per week that is low tech in which you can connect with other people. 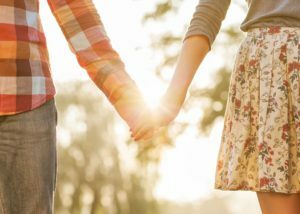 Adding Relationship Coaching sessions can help to increase connection and deepen intimacy even in relationships that are already wonderful. Click here for more information. JoyWork Suggestion: Consider creating digital free zones in your home. Start out with small blocks of time for a digital detox and work your way up to an entire weekend. Let me know how you’re doing on the Accelerated JoyWorks Facebook page or in the comments below. This entry was posted in Coaching, Communication, Technology in Relationships and tagged Connection, Emotional Intimacy, Technology, Well-being. Bookmark the permalink. Excellent!! It’s the truth. When your significant other is more in love with his phone, won’t change it then it’s time to go! Love this… detox is a must. Interesting post, it’s amazing how much we rely on technology these days and it’s depressing to see how they are replacing social contact. The number of times when I’m out for dinner I see couples together but separated but their mobile phones, connecting with other people in a whole different (albeit digital) universe.